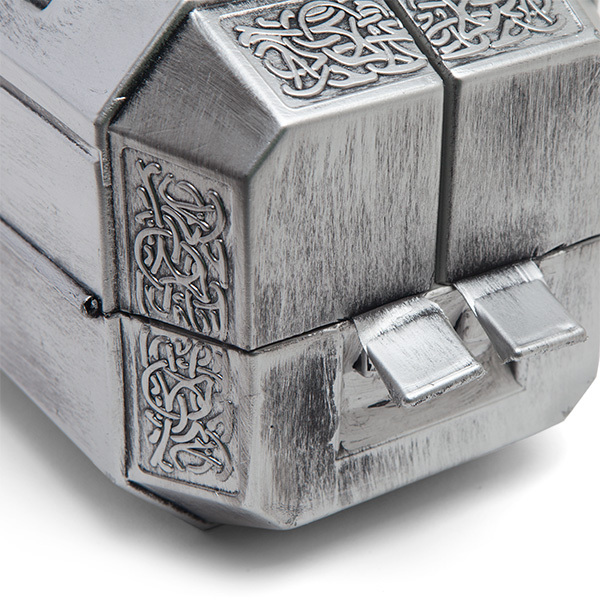 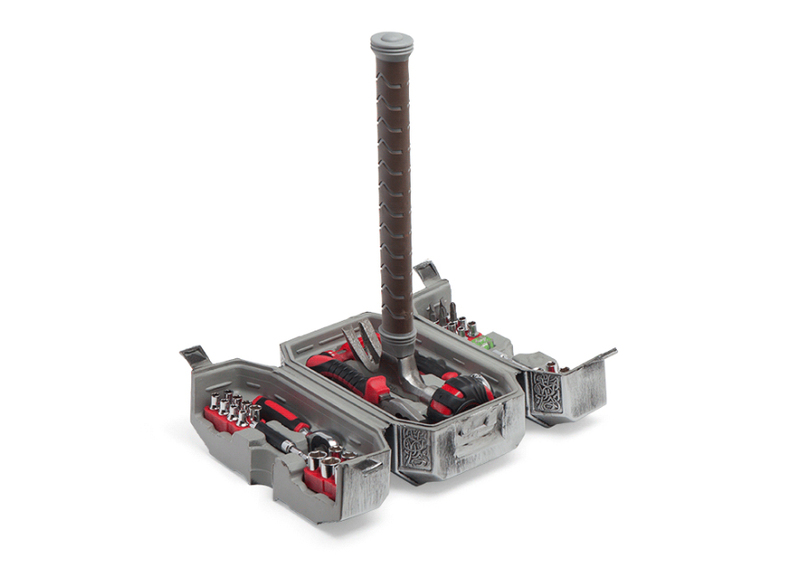 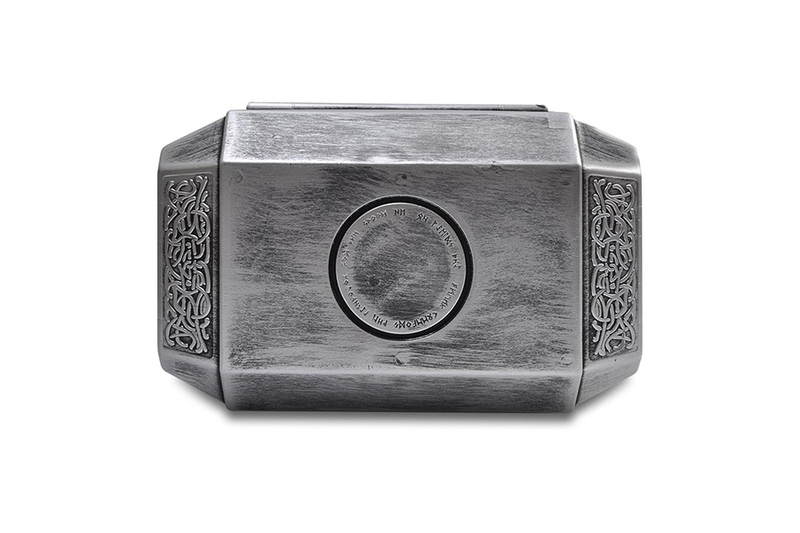 This is the $100 Marvel Thor Hammer Tool Set designed and sold by ThinkGeek. 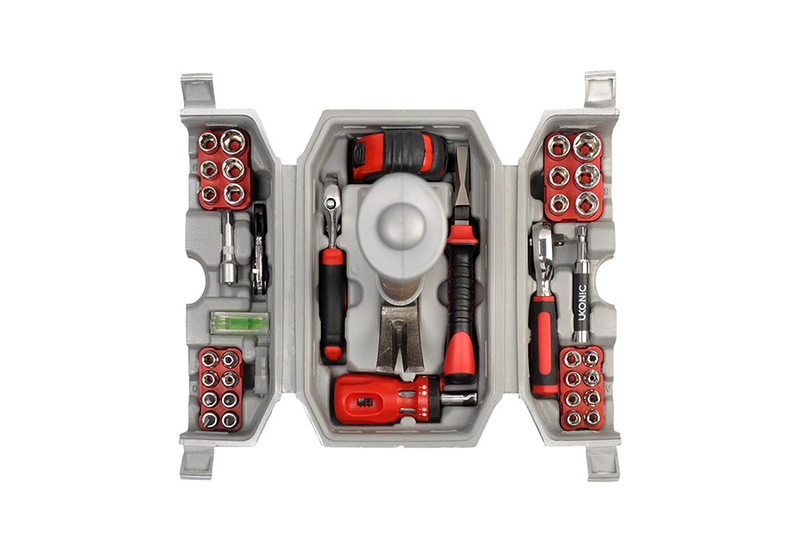 It’s a 44-piece Ukonic tool set that all fits inside a toolbox that looks like the business end of Thor’s hammer, Mjolnir. 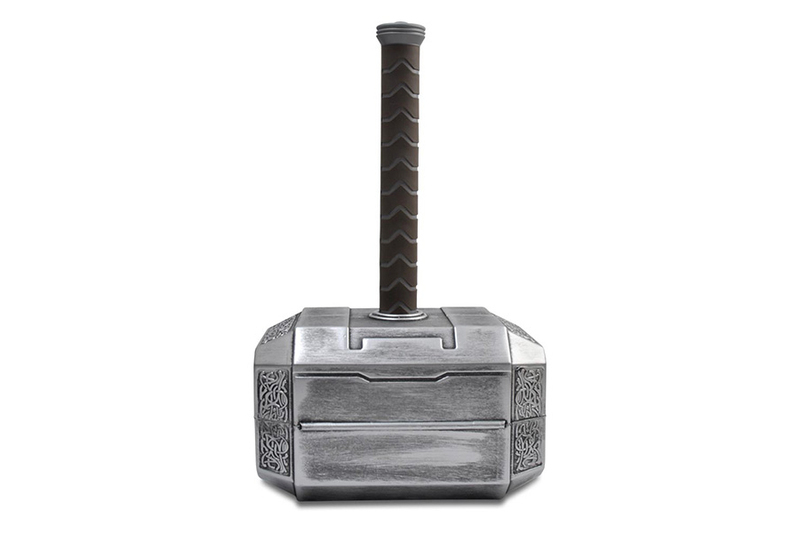 The handle of Mjolnir actually doubles as the handle of the regular hammer that comes with the set, so if you lose that you’re screwed. 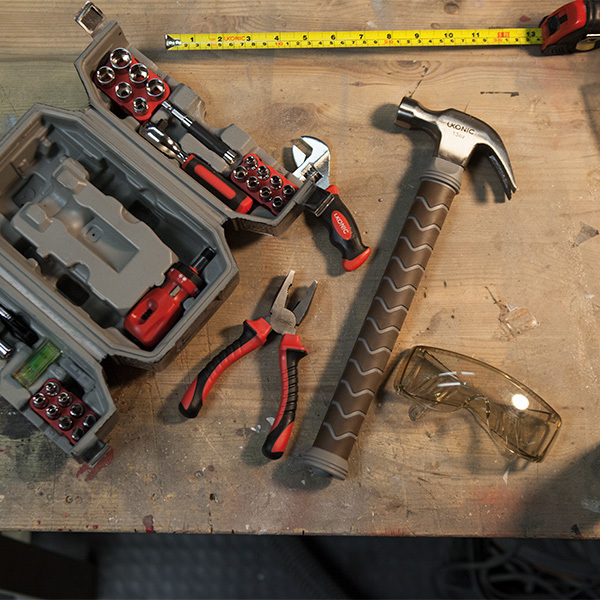 Inside it has all your basic tool needs, including a hammer, a tape measure, a level, a screwdriver, a wrench, a ratcheting wrench, and a utility knife. 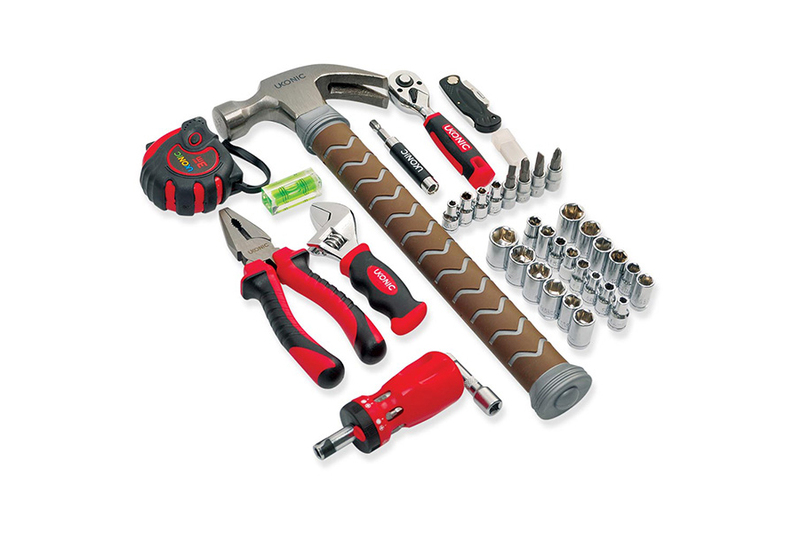 It’s perfect for someone worthy of their first place or a great extra set of everything to have around in case of emergencies.